Please join us for a weekend of recognition, celebration, learning and fellowship! Friday, November 6th - Join us for a formal evening dinner with speakers Max and Karen as we celebrate and recognize new Diamonds and Platinums. Saturday, November 7th - Join us for a full day of celebration, recognition for Silvers and Golds, followed by afternoon business break-out sessions with exciting guest speakers. We'll also have our famous NingXia Red Bar, photobooths and drawings for awesome giveaways! Awards will be given for new rank advancements. Speakers include: Max and Karen Hopkins, the YL Roughnecks, Platinum Rhonda Flint, Young Living Corporate speakers Dr. Lindsey Elmore, Dr. Richard Carlson and Walter Noot. More speakers will be announced soon! 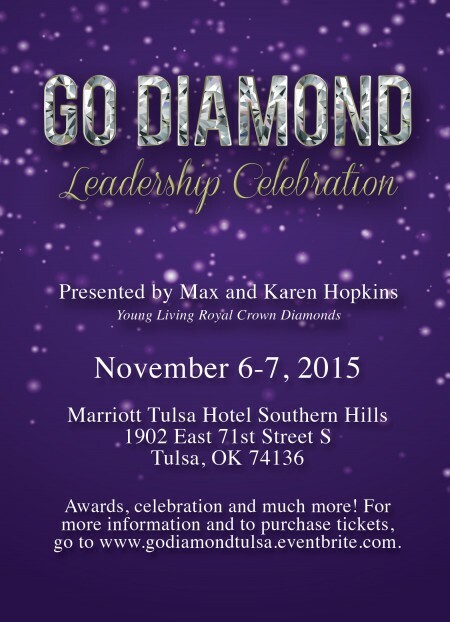 Open to all ranks of all members of Max and Karen Hopkins' Young Living organization. Must be present to receive awards.